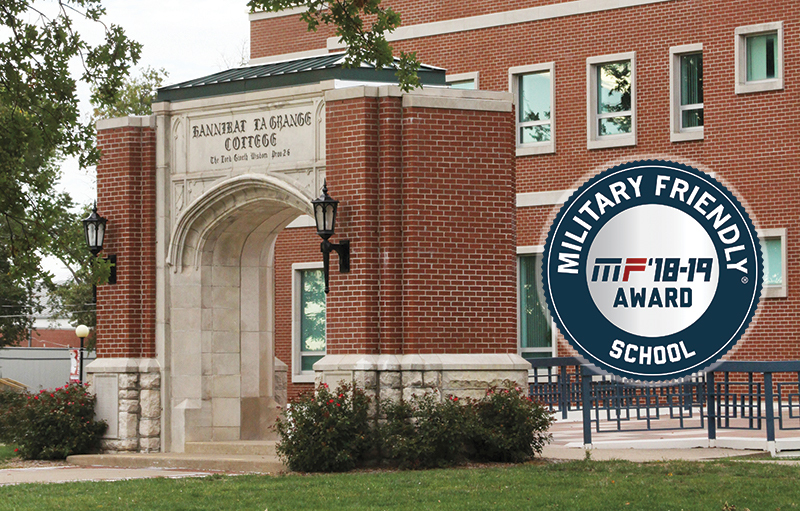 Hannibal-LaGrange University announced today that it has earned the 2018-19 Military Friendly® School designation by Victory Media, publisher of G.I. Jobs®, STEM JobsSM, and Military Spouse. First published in 2009, Military Friendly® School is the most comprehensive, powerful resource for veterans today. Each year, the list of Military Friendly® Schools is provided to service members and their families, helping them select the best college, university or trade school to receive the education and training needed to pursue and civilian career. Now in its 17th year, the Military Friendly® Schools list has come to set the standard for higher education institutions to provide the best opportunities for veterans and their spouses. This prestigious list provides a comprehensive guide for veterans and their families using data sources from federal agencies, veteran students and proprietary survey information from participating organizations. Institutions earning the Military Friendly® School designation were evaluated using both public data sources and responses from a proprietary survey completed by the school. Student survey data was also taken into consideration for the designation. earning the designation. The full 2018-2019 Military Friendly® Schools list can be found at militaryfriendly.com. The Military Friendly® Schools list is created each year based on extensive research using public data sources for more than 8,800 schools nationwide, input from student veterans, and responses to the proprietary, data-driven Military Friendly® Schools survey from participating institutions. Final ratings were determined by combining the institution’s survey scores with the assessment of the institution’s ability to meet thresholds for student retention, graduation, job placement, loan repayment, persistence (degree advancement or transfer), and loan default rates for all students and, specifically, for student veterans. Founded in 2001, Victory Media is a service-disabled, veteran-owned small business (SDVOSB) that connects the military community to civilian employment, and educational and entrepreneurial opportunities through its G.I. Jobs® and Military Friendly® brands. Victory Media and its brands are not a part of or endorsed by the U.S. Dept of Defense or any federal government entity. Learn more about Victory Media at victorymedia.com.